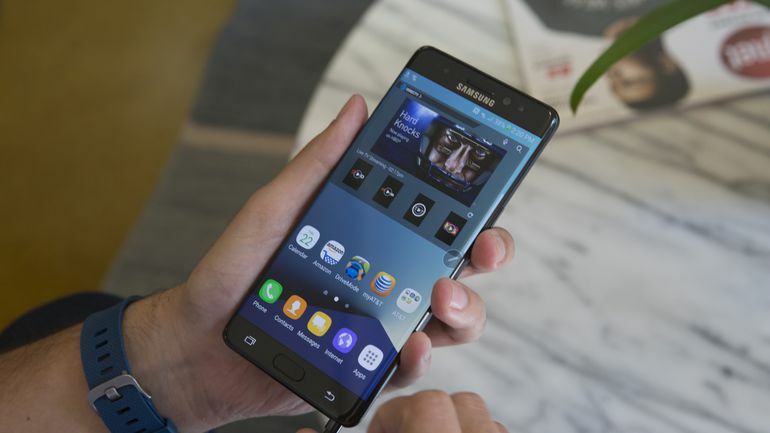 A global recall of fire-prone Galaxy Note 7 smartphones did not appear to hurt U.S. consumers' willingness to buy Samsung Electronics (005930.KS) phones. Here's why we say so. Despite all the explosion reports that rocked the arrival of the Galaxy Note 7 that was released some time ago, A Reuters/Ipsos opinion poll released on Sunday still showed that U.S. consumers still remain loyal to the brand. The survey conducted Oct. 26 to Nov. 9 found that current Samsung smartphone users were as loyal to their brand as Apple Inc (Reuters AAPL.O) iPhone customers. It also found that people who knew about the recall were as interested in Samsung phones as those who did not. Samsung has said that customers chose another Samsung model as a replacement for the Note 7 in a majority of instances, without giving more detail. It has said nearly 85 percent of the recalled Note 7 devices had been replaced or returned through its refund and exchange program as of Nov. 4. The Reuters/Ipsos poll was conducted online in English in all 50 states. It included 2,375 people who own Samsung phones and 3,158 people who own iPhones. The poll has a credibility interval, a measure of accuracy, of 2 percentage points.